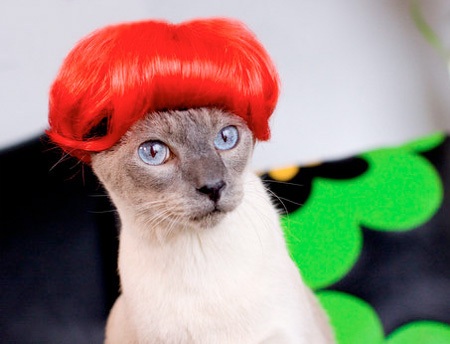 Glamorous and stylish wigs designed specifically for cats by Julie Jackson. 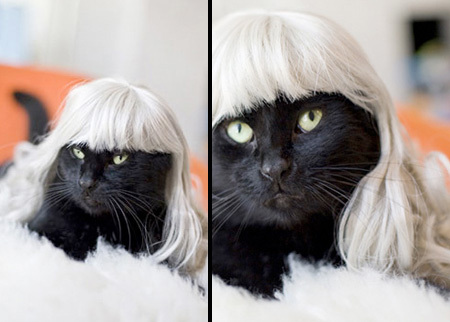 ajajaja it reminds to lady gaga! xD i loved it! 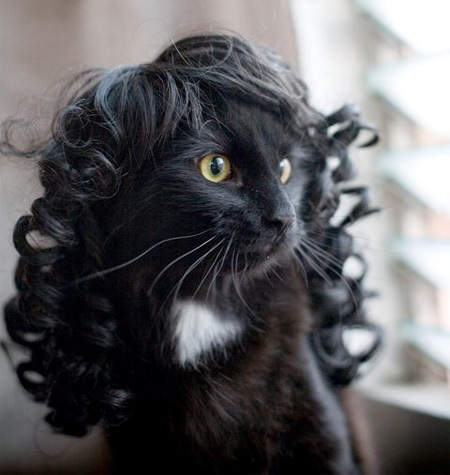 @Diego, yeah totally like Lady Gaga and it also reminds me of Katy Perry’s hair too! Neighbors not convinced you’re crazy yet? 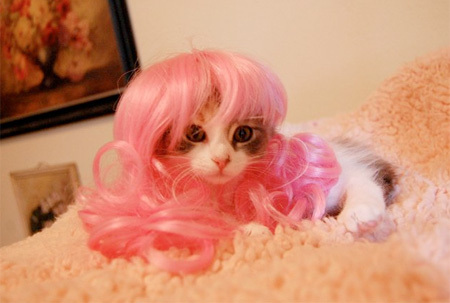 We here at Wigs4Cats can help make your fantasy a reality. I love cats but this is kinda weird. 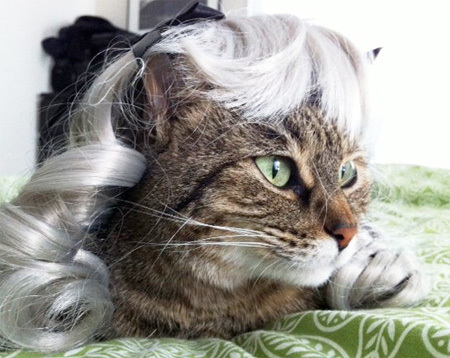 Cats aren’t even supposed to have hair! So cute – anyone seen my squirt gun? 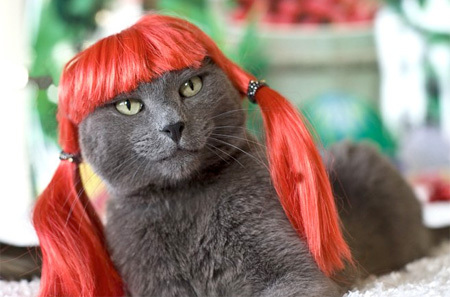 Oh look that’s Nicky Minaj! And Rihanna! And Katy Perry! And Lady Gaga! 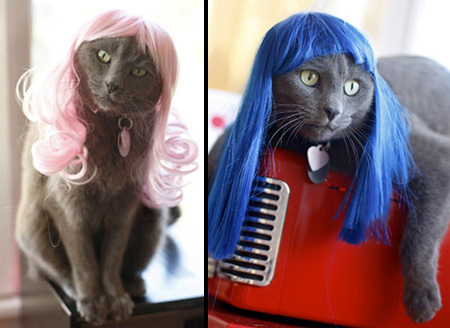 these cats …hate everything right now. I… I just… Why? Why? I’m confused, and sad, and feel uncomfortable. It’s funny, but not funny enough to merit a half-smile. I… I just… Why? 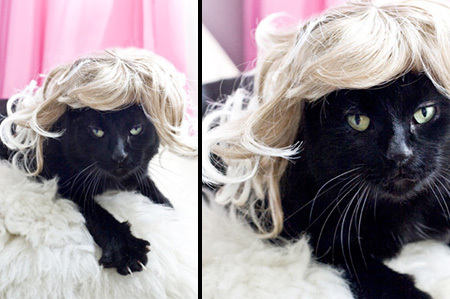 These photos provide us with adequate and solid evidence that the animal called cat (felis catus) is in fact a creature of devilish descent and should be expelled from every respectful home. i hope all of them are female..lol, if one of them are male cat..bet, he must be grumpy..
Gert would be a cat lady..